Thinking about moving to Hilltop? Take our 90 second tour of the beauty of the neighborhood and afterwards if you have questions you can contact us. Who are we? We’re the Move 2 Denver team, a leading Keller Williams real estate team from right here in Denver, specializing in Hilltop and the east side of Denver. Make Super Sunday a fun day for all! It’s time for the big game, so get out that super big bowl (that’s as close as we could get to saying the name of the game without the NFL getting peeved) for the chips and throw a party that’ll make the neighbors ask to come over next year. First, what to make? Personally, I’d serve cheese covered in extra cheese for the game but some people just want more creativity in their choices. 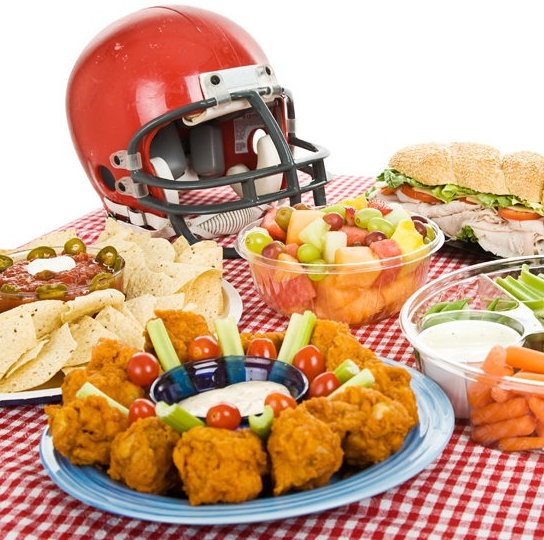 Check out our Pinterest page for delicious ideas like a sandwich that looks like a football including the laces, football cakes and all sorts of other foods that look like the oblong ball we’ll be watching get tossed around Sunday. 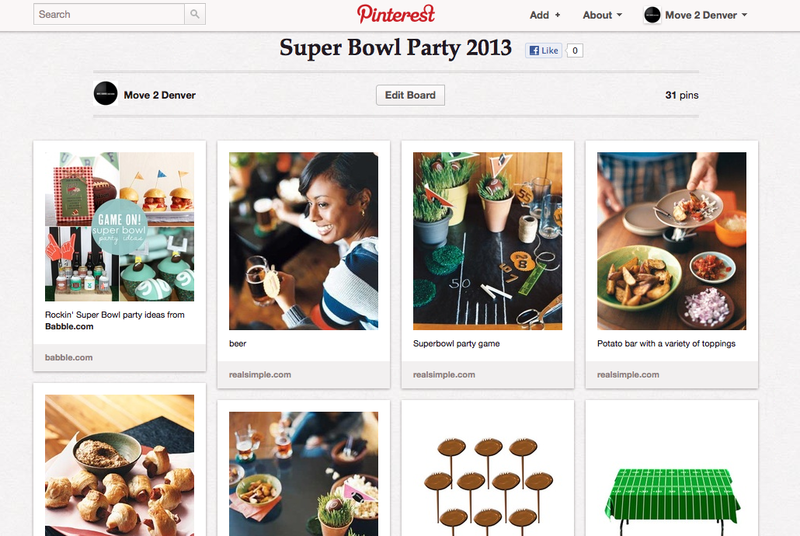 We also have foods pinned that don’t look like footballs. Like healthy pizza, sliders with spinach and peppers, bacon wrapped potatoes and some party design advice we found on and other places around the internet. Sports has been weird lately, fake girlfriend stories and discovery that Deer Antler Spray is actually something athletes use to cheat (sadly, it’s not a new condiment like I first thought) have been oddly fascinating and disconcerting. After those insane topics are done being discussed amongst your friends though how do you keep the half of your guests that are enormous football fans from staring at their phones, looking up stats and not speaking with anyone in between plays and during commercials? How about a second screen in the room dedicated to game info, like stats? During the commercial breaks the non-fans of commercials that are football aficionados can talk about who has more yards than whom, using stats to engage in conversation rather than staring at the phone and having an internal monologue? Bust out the laptop or tablet and invite everyone to use it, tell them why and demonstrate rather than staring at your phone, find a few things that everyone may find interesting. Make some other content that might engage your guests easy to access in the same place, using our complete reliance on being over stimulated to keep everyone engaged, even those guests that might wonder why 60 Minutes is canceled for the game. Think this seems crazy? According to 36% of people will utilize a second screen during the Super Bowl this year to check out stats and follow what everyone is saying online, so why not use it as a reason to bring people together? Sure they’ll stick look at their phones sometimes, but the less they do that and the more people connect the more you’ll through a party they’ll look forward to next year. Give everyone great options for food, drink, plus the mental over-stimulation we all require these days and you’ll throw the party of the year. Unlike the Broncos, you’ll be a hero this Super Sunday.